How Do Home Workouts Fit Into Your Corporate Wellness Program? Sometimes clients ask us how to incentivize people who don’t like working out at a gym. What about the employees who want to exercise at home? Our products are incredibly flexible by design: because no two companies are exactly the same, your wellness benefits should fit your people and culture and your goals as an organization. Everything can be customized. However, we typically advise companies to steer away from including home workouts in their wellness programs for a few reasons. This stems from the way that most wellness programs are structured; most fall under gym or fitness reimbursements or activity rewards (or a combination of the two). It helps to understand how these differ and why. Gym or fitness reimbursement programs are designed to help reduce the financial barrier to entry for fitness. This reward type is about removing the burden of cost for maintaining a gym membership or other costs related to fitness. This is typically a financially motivated perk. 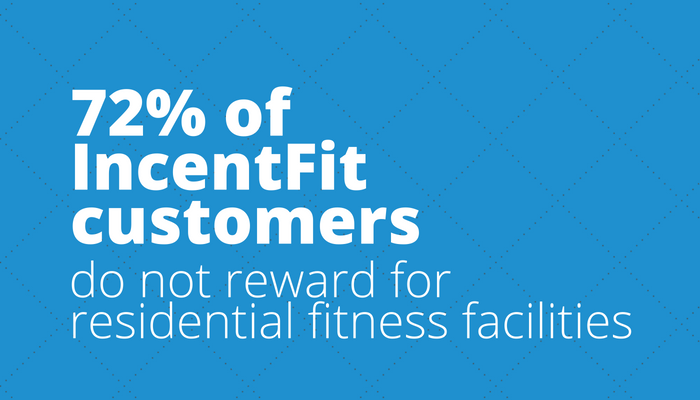 And with IncentFit specifically, companies only pay for this perk when users can prove they’re both paying for and are exercising at a gym. So why do we discourage rewarding in-home workouts? Whether you’re talking about behavioral science research, office wellness surveys, or how intensely people exercise, it’s difficult to prove accuracy with self-reported data! The most effective wellness programs rely on data that is both verifiable and auto-reported. At IncentFit, we ensure accurate data with tools such as geolocation check-ins, and synced data from fitness trackers and mobile apps. Fitness trackers are great for recording data from cardio exercises and steps, but not for less vigorous activities like yoga or stretching. Simply put: with home workouts, you can’t fully ensure that people are exercising when they say they are. And if your goal is to reduce the financial burden of a gym membership, home gyms don’t fit that objective. Want to learn more about how to design a program that fits your company’s goals? Let’s talk. Schedule an introduction call with us.